This guidebook takes pastors through the complete funeral process, from the moment the call is received. More than a "how-to" it uniquely address the funeral process from the perspective of pastoral ministry. 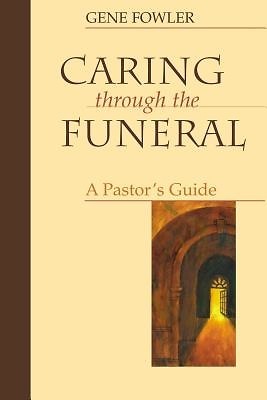 Gene Fowler's practical advise, solid pastoral and theoligical grounding and case illustrations explore what pastors through at each stage of the funeral process. Includes a comparison of four Protestant liturgical books and sample services.